Rungta group of Colleges are managed under the umbrella of two societies GDR Educational Society for Bhilai and GD Rungta Foundation for Raipur campus. GDR Educational Society was founded in the year 1999 in the name of our founder Late Shri Ghanshyam Das Ji Rungta, who was a living example of courage, determination and vision to contribute to the society by bringing up the overall living standards, The GDR Educational Society today seems to truly imbibe his ideals and follow the path shown by him. Affiliated To: Chhattisgarh Swami Vivekanand Technical University, Bhilai. Students at RUNGTA Group of Colleges get the best Subject knowledge which helps in floating them into the real competitive world outside the college premises. The Group has a Placement Office situated in the campus and the management is governing the training and placement of students. Every year many companies from various fields come to RUNGTA Group of Colleges to recruit the best of our students from all disciplines. The job winners stand as ideal figures to encourage the performance of our students academically and in job placements. Apart from placement, due importance is given to training as well. The college management is very supportive of this aspect, and encourages students to take summer training in different companies. The management believes strongly that practical knowledge and familiarity with work environment is very necessary for young engineers. The Training and Placements Cell regularly maintain the data of our students selected by many MNC’s through campus placements. A regular updates of forthcoming interviews are provided to the eligible students. The placements officer will provide assistance to the Students in their efforts to find employment opportunities. The Cell operates round the year to facilitate contacts between companies and students. Students considering careers in education or its related fields are offered detailed career guidance at the Training & Development Cell. Campus: Rungta group of Colleges are managed under the umbrella of two societies GDR Educational Society for Bhilai and GD Rungta Foundation for Raipur campus. GDR Educational Society was founded in the year 1999 in the name of our founder Late Shri Ghanshyam Das Ji Rungta, who was a living example of courage, determination and vision to contribute to the society by bringing up the overall living standards, The GDR Educational Society today seems to truly imbibe his ideals and follow the path shown by him. These services are provided through the central library and departmental libraries. Keeping in view the fast changes in technology, the knowledge base of the library is updated regularly by way of adding new literature in the form of text books, reference books, reports, proceedings, abstracts & indexes, encyclopedias, data books, standards (National & International) Journals & database on CD-ROM. Apart from adding the new literature, the basic literature is also procured for the new programmes along with current one. Hostel: There is never a dull moment at Rungta Educational Complex. The students are given the best of care during their stay in the hostels by providing all the amenities like clean and airy twin sharing rooms with attach let bath, coolers, water coolers, hot water etc. To retain the feel of homely atmosphere, several activities and programs are organized for students to participate and enjoy. The well-laid out Rungta Educational Township at Bhilai has facilities like spacious roads, landscapes, street lights, communication center, central purified water plant, water treatment plants, moderately furnished residential flats for teaching and non-teaching staff and separate residential blocks for girls with huge dining hall and a common lobby. The boy’s residential block is in the close vicinity of the campus. Medical facility is available round the clock for the inmates. At Rungta diverse food habits and taste preferences come to the dining table. Rungta chefs are experts in north and south Indian specialties and use latest facilities for cooking in the kitchen. Senior Wardens constantly monitor the needs of the students and play the role of local guardians. As the residential premises are very close to the academic block, students have the advantage of access to library till 9pm. Rungta has plans to build residential block for NRI students that has all the modern amenities to suit their needs and additional facilities like air-conditioners and telephones will also be provided at additional costs. Cultural activities : at Rungta Educational Campus provide a full measure of opportunity to students for their artistic and theatrical pursuits. Campus has a auditorium with seating capacity of 400 and an open air Auditorium with a seating capacity of 1500, that forms the hub of the cultural life. Famous personalities have performed in these auditoriums. Student cultural committees under the guidance of faculty members of respective institutes organize various cultural programs from time to time in form of welcome parties, farewell parties and inter department competitions. These activities add another dimension to the many-sided life of the campus community. College Level cultural Committees manage all cultural events in the college and works for further representation at the university level and other competitions. Colleges within the campus are winners of the state cultural youth festival for the last three year and large number of students represent respective college at National level . 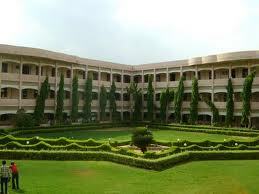 I am interested in this college……..